Calling all fellow kale fanatics in Dallas! We've teamed up with Naked Juice to reward fans with a custom juice break this Earth Day, April 22nd! 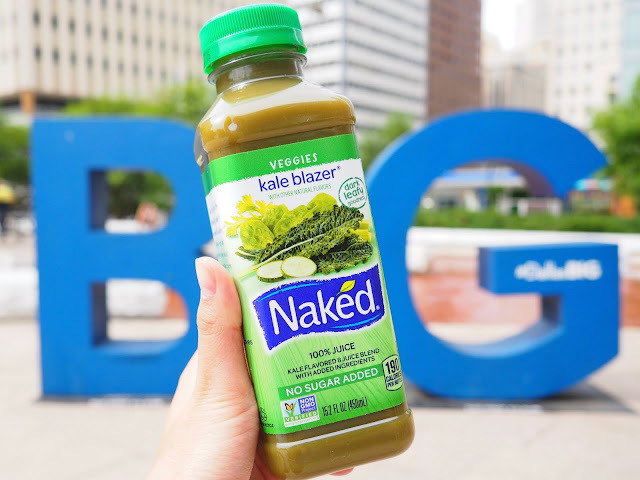 To win, just post a photo proving your ever-loving devotion to KALE, mentioning @nakedjuice, #kalebreak, and tagging us (@thefindingdallasblog) in the photo. We'll pick our faves, direct message you, and deliver some sweet nectar (aka the Kale Blazer - as pictured below) directly to you! Click here to view the official rules for entering the sweepstakes! Good luck to everyone! We can't wait to see all your KALE-tastic photos! I'm not sure I can ever go back to any other place, after an experience like this. This place is appropriate in a space that lends so much gravitas to events. The design of venue houston is sharp and environment is unbelievably good.